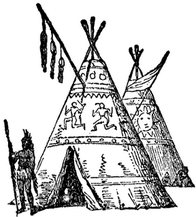 Fourth Graders will be researching the Native American tribes that lived in Indiana. 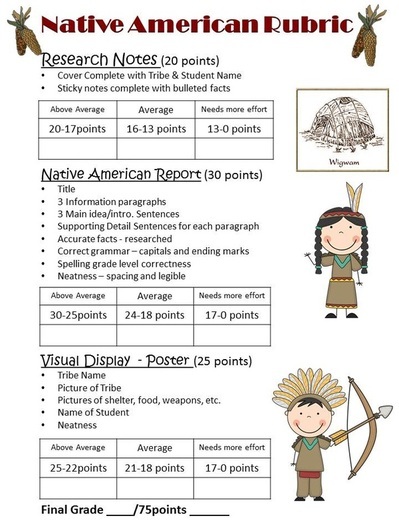 Students will write a short report with 3 informational paragraphs about one of the following tribes. 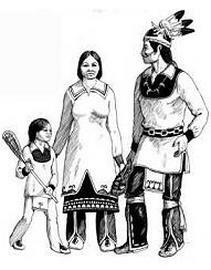 In addition, students will be expected to create a visual display that represents a part of the tribe's culture. 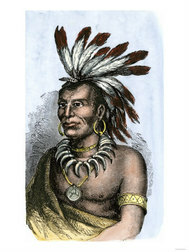 Students read informational text about their Native American tribe and wrote facts on their sticky notes. 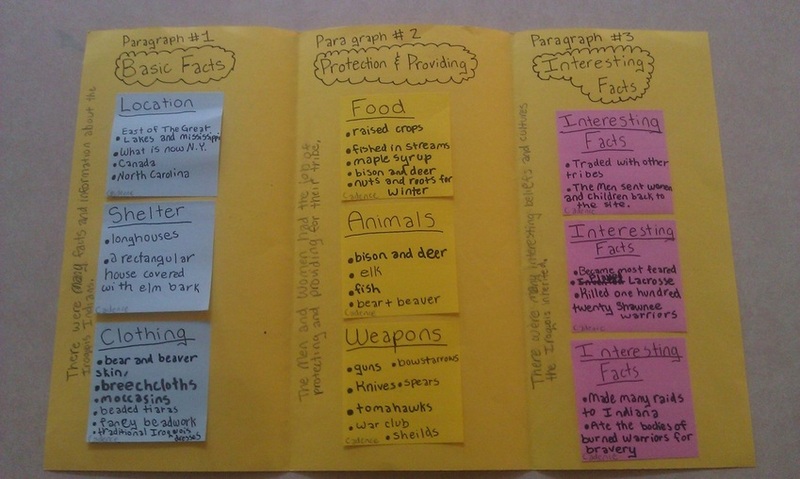 Sticky notes were color coded by topic and placed under correct paragraph headings. Students wrote their main idea/topic sentence on the side of each section before writing their 3 paragraph report. This is very helpful for students to organize their thoughts and know when to start a new paragraph. 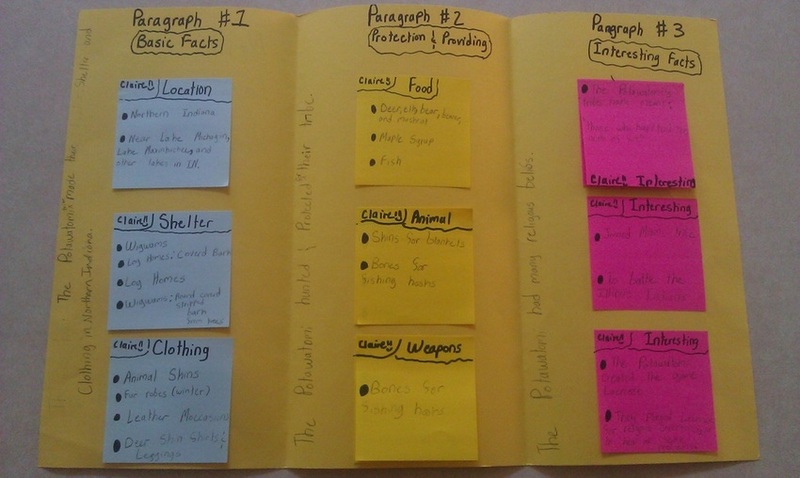 The sticky notes also guide students into taking notes rather than just copying the research, and then students are able to write a report in their own words.